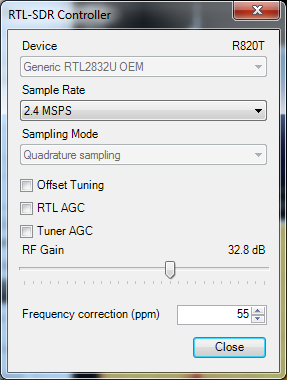 If you’ve already calibrated your RTL-SDR dongle and know the PPM offset, you can skip this section. PPM stands for parts per million and is the difference in received frequency vs. frequency shown. 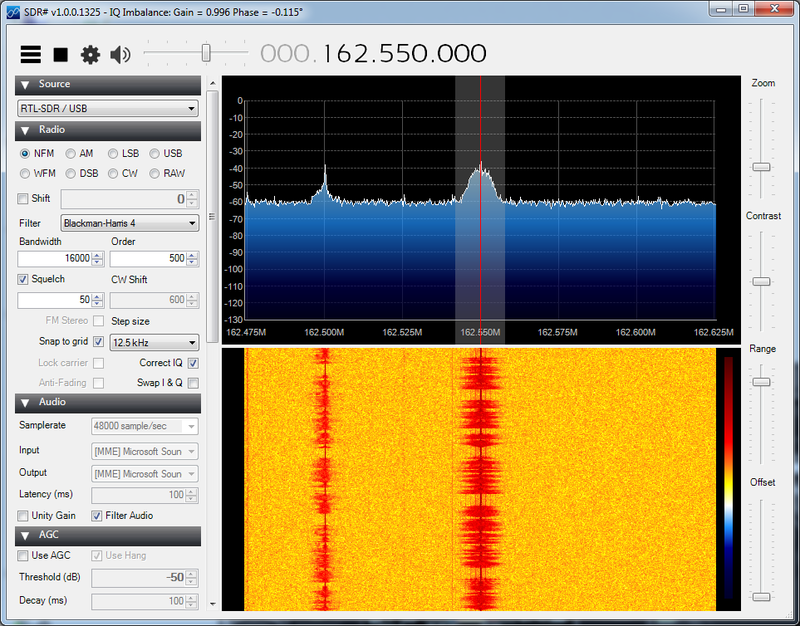 To visualize this, use SDRSharp to receive a known FM signal. The center frequency shown will be different from the signal on the scope. Typical PPM offset is anywhere from 45 – 65 and will be in the programs settings. The dongle will drift another 2 – 5 PPM over the next 20 – 45 minutes as it warms up. PPM number will change with ambient temperature extremes. Gain is obviously another setting that will help you receive signals. The RTL AGC setting works but will err on the side of too much gain. Manually, using more than 32.8 dB will overload and produce duplicate signal spikes. The Correct IQ setting will get rid of phantom spikes at lower gain settings. Run the calibration for 15 minutes to obtain an accurate result. Speculation suggests this may take as long as 45 minutes. 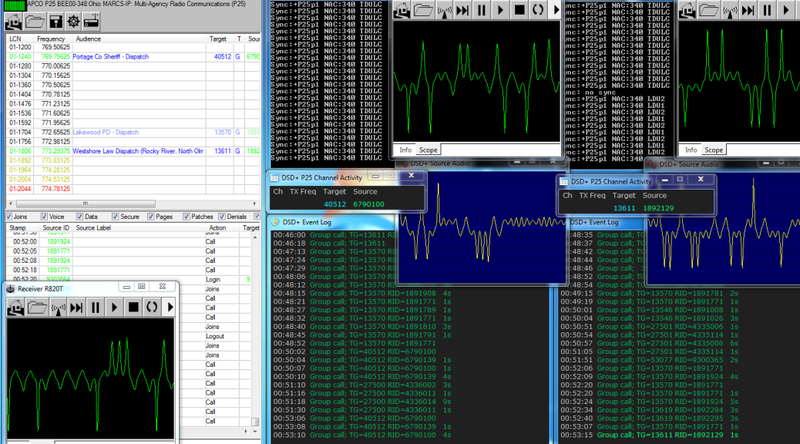 Note the Frequency correction (ppm) for all dongles you will use.